2.47 ACRES IN EAGLE MOUNTAIN ESTATES! PROPERTY OFFERS A DIVERSE LANDSCAPE OF GENTLY SLOPING, LEVEL TO STEEP TERRAIN WITH DIVERSITY OF TREES! 3 BR S/D SEPTIC APPROVED OFFERING A NICE BUILDING SITE, TEMPORARY ELECTRIC POLE ON PROPERTY. 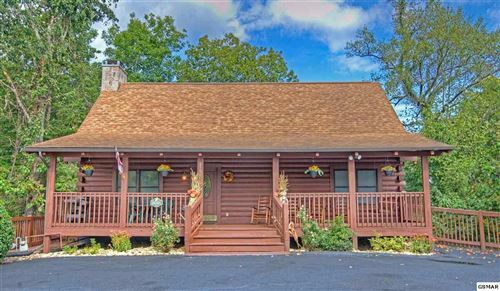 THIS RESTRICTED PROPERTY DOES NOT ALLOW MOBILE HOMES YET OFFERS ASTONISHING SEASONAL VIEWS FROM SEVERAL AREAS. SURVEY & RESTRICTIONS ARE AVAILABLE. A WELL MAY BE REQUIRED FOR WATER SOURCE. EAGLE MTN ESTATES BORDERS THE CHEROKEE NATIONAL FOREST & OFFERS CLOSE PROXIMITY TO THE EASTERN ENTRANCE OF THE GREAT SMOKY MOUNTAIN NATIONAL PARK & APPALACHIAN TRAIL! AREA OFFERS WHITEWATER RAFTING, FISHING, HUNTING & HIKING! VERY CONVENIENT TO I-40, GATLINBURG, COSBY, HARTFORD, NEWPORT, PIGEON FORGE, KNOXVILLE, TRI-CITIES, MAGGIE VALLEY, CHEROKEE & ASHEVILLE NC! NO STATE INCOME TAX, NO ZONING & LOW ANNUAL TAXES ONLY $118! PRICED FOR GREAT INVESTMENT!